Dell had a fantastic showing in 2018 when it came to laptops. The excellent XPS 13 and 15 were among the best laptops we reviewed all year, and our hands-on with the Alienware-branded M15 left us salivating over the winter break. We’re back now and ready to reveal our full review after spending months with one of the most interesting updates to Alienware‘s laptop lineup in a while. I use the word ‘interesting’ because the M15 represents a departure from what we’ve come to know and love about Alienware computers — the M15 is neither HUGE nor covered in flashy lights. My worldview has been shattered; I exist in a pit of despair. The review unit TNW received contains a GeForce GTX 1070 (Max-Q) with 8GB GDDR5 RAM. I mention this because Nvidia announced at CES that the Alienware M15 would support its new RTX cards. The RTX cards aren’t currently available in the M15 and, presumably, the performance increase they provide will also come with a cost increase. Otherwise, this review should be applicable to both versions. Gamers might be quick to point out the 144Hz refresh rate will probably be more useful than the UHD screen with 60Hz, but one consideration is that I used the M15 primarily for VR. And, while I personally do prefer the FHD screen with 144Hz refresh rate because I play non-VR games too, I can’t help but think I might get more use out of the M15 if I could watch Netflix or Prime Video in 4K on it. If you prefer the Epic Silver to the Nebula Red you can pick either screen. The FHD screen I used on the Nebula Red model was brilliant – literally. The colors were vibrant and seemed to pop right off the screen. I’m always impressed by Alienware’s ability to make its displays seem unnaturally bright and deep, the M15’s is no exception. I love everything about the screen, even the big (but small by Alienware standards) bezels and the angular shape of its lid. This is the bridge between the boring new square gaming laptops that are trending and Alienware’s old break-out-the-wheelbarrow notebooks that the world needs. The performance is also out of this world. During my testing I maxed out State of Decay 2, The Witcher 3, and Forza Horizon 4 to see what it felt like to put the squeeze on an Nvidia GTX 1070. Turns out, I wasn’t really able to. The M15 gave more than 60 FPS at max settings for all three games. It performed so buttery-smooth, and looked so good, that I’m now unable to play them on my Xbox One without immediately wanting to switch back to the superior Alienware machine. Gaming is better on the M15, in my opinion, than Alienware’s other modern models too. And it’s not just the GTX 1070 or super-fast Intel 8th Generation i7-8750H that makes it special. The laptop‘s design is phenomenal. One of the first things you’ll notice is that Alienware’s packed a full keyboard and number pad into a small frame. It takes a little getting used to – especially if you’re going to be typing a lot – but once you do, it’s actually good enough to use without a dedicated gaming keyboard. Keep in mind that “good enough” doesn’t mean it’s a full-on replacement for your favorite mechanical or gaming keyboard. But, from time-to-time I find myself somewhere it’s awkward to use an external keyboard, like on an airplane – now I don’t have to change my hotkeys to adapt. Apart from changes to the keyboard and an excellent touch pad, the slimmed-down case also eschews some of the traditional lights found on Alienware‘s machines in exchange for something that looks a bit more modest. In the car world this is called a “sleeper” or “Q-car.” People who see this laptop, and don’t know what it is, will likely think it can’t hang with the giant 15-inchers they’re used to seeing from companies such as Razer and, also, Alienware. They’ll be wrong. Other features I really liked included the port placement — Alienware kept the HDMI port in the back, making it easier to use VR headsets, and spread the USB ports to either side. And I’m a huge fan of the luxurious soft-touch paint on the top of the Nebula Red model’s chassis — something the Epic Silver version lacks. It’s also portable, thanks to a pretty decent battery and its demure stature. I got about 6 hours of battery life surfing the web, working, and watching videos. 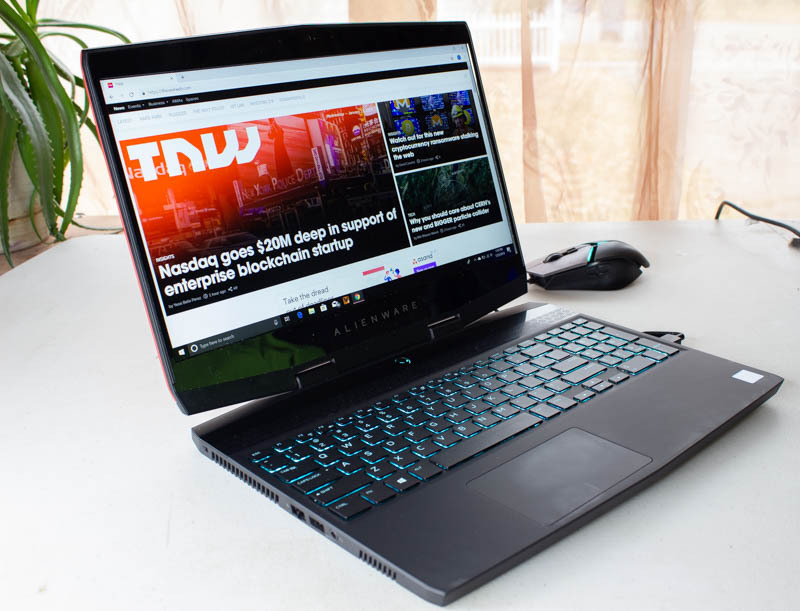 Dedicated gaming or VR dropped that time by more than half, but overall the Alienware M15 with the 90Wh battery option seemed to offer longer life than similar-priced gaming laptops such as the Razer Blade. The battery life, combined with the fact that this is Alienware‘s slimmest 15-inch laptop ever, made me want to become a travelling VR-evangelist. Luckily, the company makes a backpack that’s perfectly sized to fit an M-15 and its AC adapter as well as an Oculus Rift headset and its sensors and touch controllers. The Alienware Elite backpack is perfect for this, but if you’ve already got a gaming backpack that’ll fit a 15-inch laptop it’ll probably work too. Finally, Alienware fits in a normal-sized bag. For the first time ever I can bring an Alienware laptop on an airplane without feeling like I should purchase a separate seat for it. The next time I’m on a long flight, I’ll bring the M15 so I can treat my fellow passengers to a round of Turtle Rock Studios’ Face Your Fears. That’s sure to be a hoot (don’t try this, it’s a bad idea). Speaking of VR, the M15 handles it wonderfully. I played Star Trek Bridge Crew, Skyrim VR, and Fallout 4 VR with the settings dialed up as high as they’d go and didn’t suffer from any stutter or dropout. LA Noire: The VR Case Files, which has minimum system requirements that include a GTX 1080 card, played smoothly once I dialed the settings down a tad. 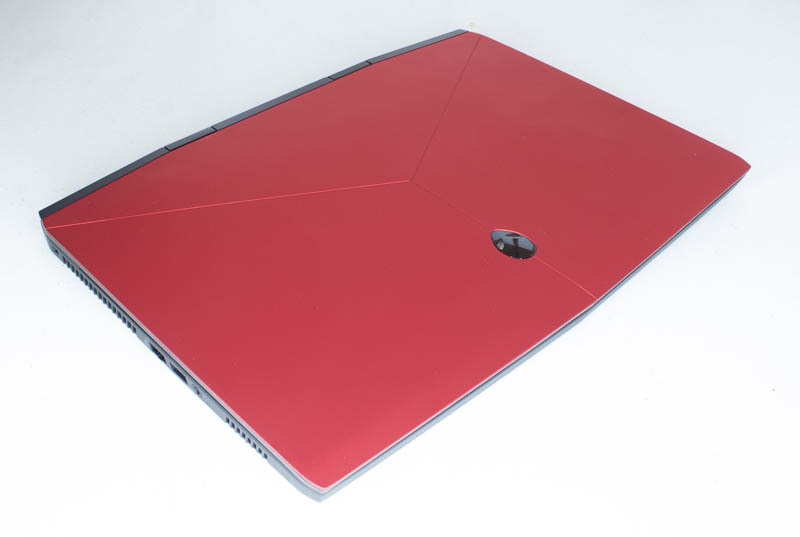 There wasn’t much I didn’t like about the Alienware M15. The biggest thing that comes to mind is lackluster audio performance. The speakers aren’t awful, but it’s obvious that sound wasn’t a priority for the M15 team. I didn’t care because I game with headphones on. 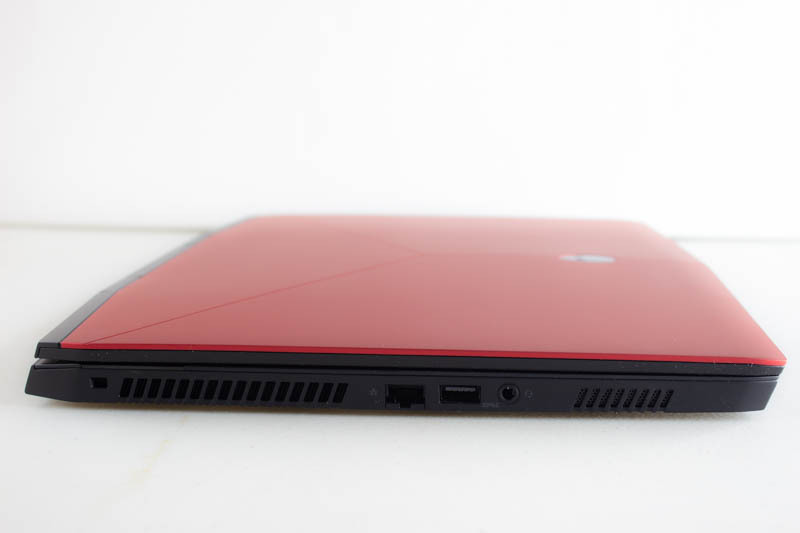 There are a lot of gaming laptops out there, but, if you ask me, none of them look as good as the Nebula Red M15. And, beyond skin-deep, I’m hard-pressed to think of any other laptop that’s as streamlined and portable while maintaining top-tier performance (GTX 1070 and Intel 8th gen i7-8750H) at a similar price. The M15, as we reviewed it, costs $2,259.98. If you’re going to game on a laptop, especially in VR, this is the one I recommend.